Cygnet Theatre Artistic Director Sean Murray will direct “Spring Awakening,” an eight-time Tony Award-winning musical with an electrifying rock score by Duncan Sheik. The work is a story of youth and sexuality is based on an 1895 play by Frank Wedekind and features a book and lyrics by Steven Sater. 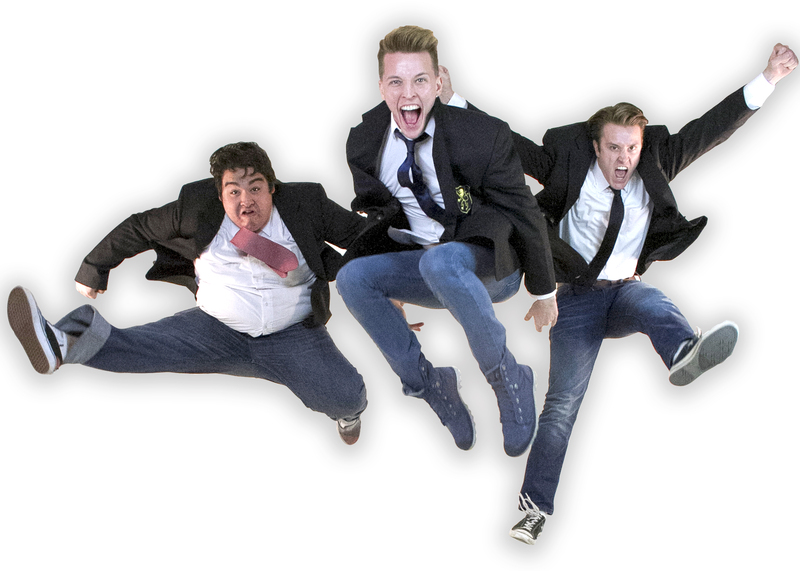 Actors William Corkery, Dave Thomas Brown and Jacob Caltrider in “Spring Awakening” at the Cygnet Theatre. The production, featuring choreography by award-winning dance maker Michael Mizerany, runs March 6 through April 27 at the Old Town Theatre. Opening Night is March 15th. The production contains mature themes, sexual situations and explicit language that may not be suitable for all ages. Murray said he feels strongly that the rock musical about rebellious 19th century teenagers who take a provocative journey from adolescence to adulthood is a perfect way to begin discussions between teens and adults. Murray has cast an array of young talent in the roles of the rebellious and questioning students. “We’ve discovered some extraordinarily talented musical theater kids who can bring their youthful energy and authenticity to these characters,” explained Murray. Spring Awakening premiered on Broadway in 2006 to great acclaim and won 8 Tony Awards, including Best Musical, Direction, Book and Score. The success of the Broadway production has spawned other productions worldwide and jump-started the musical theater career of rock musician Duncan Sheik.